Santa Clara, Calif., March 4, 2013 – Coherent, Inc. (Santa Clara, CA) (Nasdaq: COHR) has expanded its family of industrial ultrafast lasers with the new Talisker 1000 series. 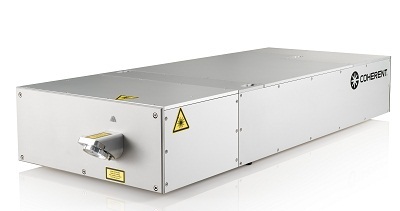 This new series of high power picosecond lasers is designed for high-throughput, precision materials processing applications in the semiconductor, solar (photovoltaics), medical devices, consumer electronics and automotive industries. The Talisker 1000 has three single wavelength versions available – near infrared (1064 nm), green (532 nm) and ultraviolet (355 nm) – all at 1000 kHz. The near IR is ideal for scribing and engraving stainless steel and other metals. The green wavelength delivers higher precision, perfect for several high value exotic metals. The UV is optimal for processing glass and other transparent or brittle materials. Specific examples include glass cutting for smartphone touchscreens; drilling injector nozzles for automotive and medical dispensing; processing plastic electronics such as OLEDs; engraving steel for printing fabrics and currency, or patterning metals on ceramic substrates for high power RF electronics. Picosecond lasers enable precision materials process with superior spatial resolution and virtually no peripheral thermal effects. The new Talisker 1000 offers pulse repetition rates as high as 1 MHz, which helps enable higher throughput in many applications. With average powers as high as 25 Watts, this new laser series is identical in form, fit and function to earlier lower power Talisker models, simplifying tool redesign cycles.